I have to admit to being fascinated by these ring-tailed, bandit-masked, unafraid of locals or tourists, stuffing themselves with grain, fruits and hazel nuts before hiding in nearby bushes. They are a familiar sight everywhere: in prairies, mixed forests, even in urban areas, due to their adaptability and because they will eat just about anything. 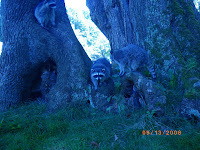 I’m not feared when I did see the raccoon’s family on the trail that runs along the south side of the Lost Lagoon. In Stanley Park almost daily we came across with raccoons, squirrels, ducks and gooses. Watching them was better than spending money at a movie. Two raccoons jumped near my handbag looking for food. They were not aggressively and with their clever eyes, they were looking to me to "ask" for food. I backed away and took pictures. These creatures live there and us inhabit their environment. 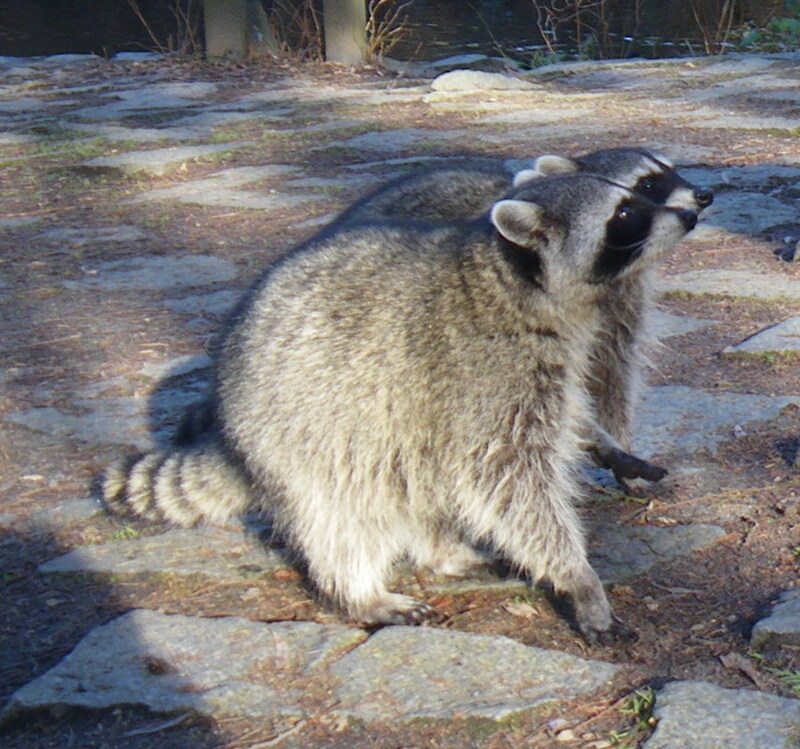 If raccoons have Rabies, or other virus, they could transfer it to humans. 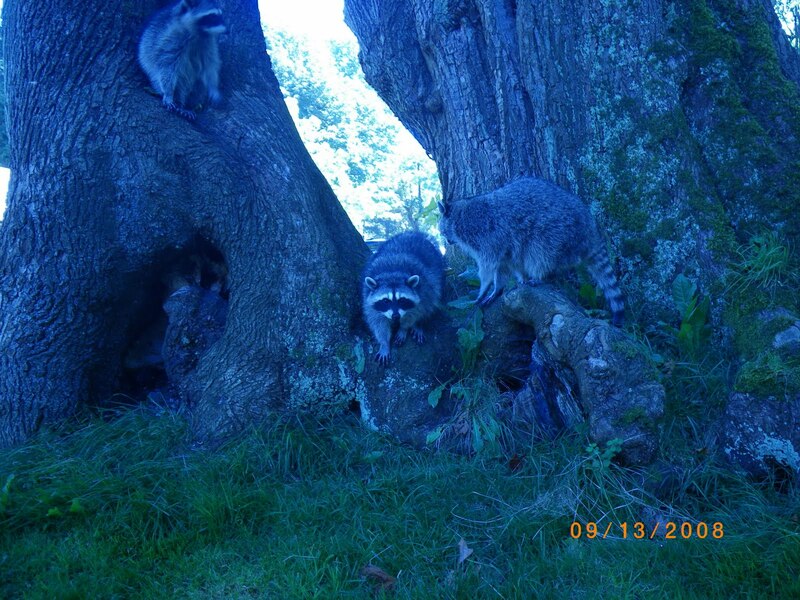 The “domestic raccoons” are tame and a well-behaved bunch, and is our duties to protect us against pathogens carries by them. Few days ago, I seen two raccoons sleeping in nearby tree in front of my house. 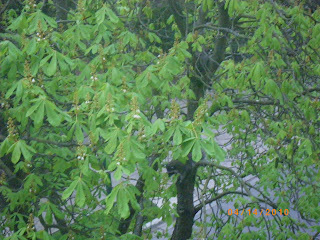 After a while one of them descended from the tree and started foraging for food in the surrounding area. Maybe they were so adapted with human habitat and changed their life style? Are they inhabit the urban area on their own?